The capital is the home of innovations, events, institutions and great works that have extended the scope of every subject on the school curriculum. London lends itself to learning unlike anywhere else in the world. The London Curriculum aims to bring the national curriculum to life inspired by the city, its people, places and heritage. 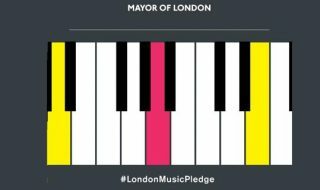 The diversity of London’s music scene is unrivalled and it is estimated that London hosts over 17,000 musical performances every year. London Curriculum teaching resources aim to support music teachers in helping their students.